CHINA. 2013. Altai Mountains, Xinjiang. In the hamlet of Akorum, Tursin makes a new pair of skis. 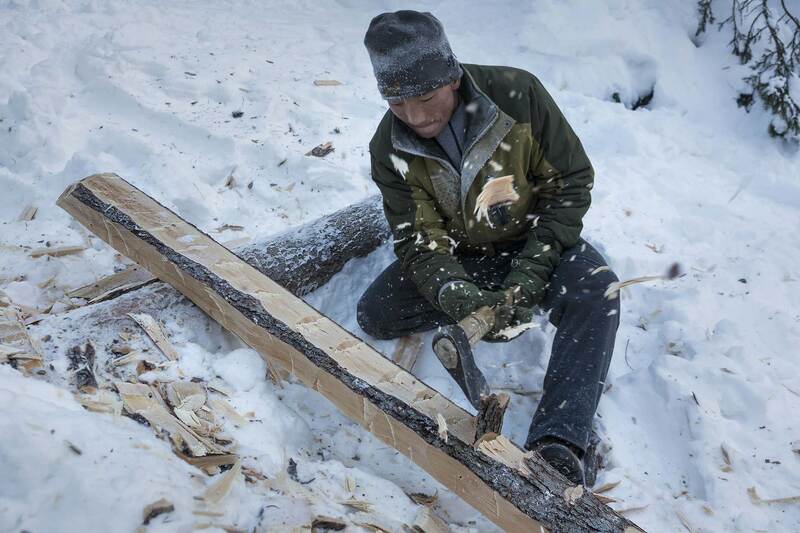 He fells a Red Spruce tree in the woods and immediately uses an axe to plane the logs into boards. At home he then uses a crude planer to thin them out into the basic shape of the ski.